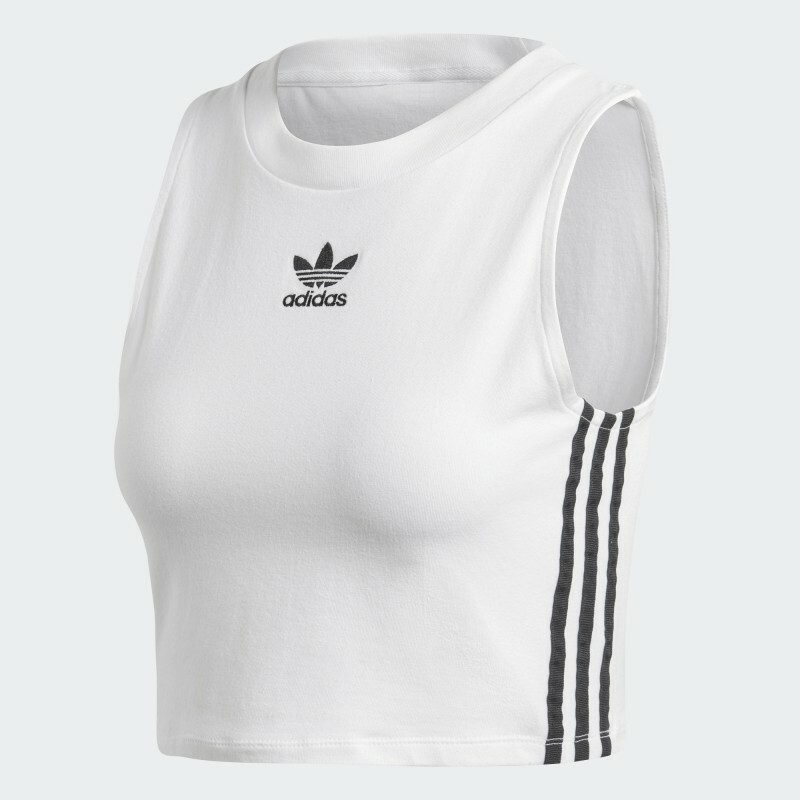 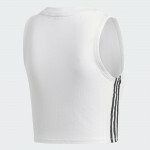 A SLEEVELESS CROP TOP MADE OF SOFT COTTON JERSEY. 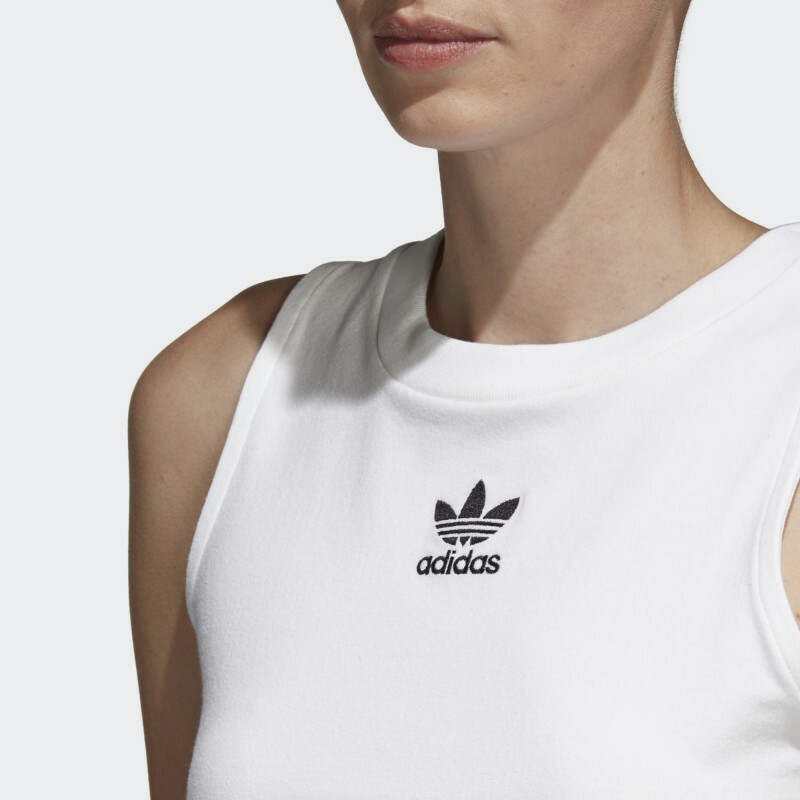 The Trefoil debuted in 1972, and it's been making headlines ever since. 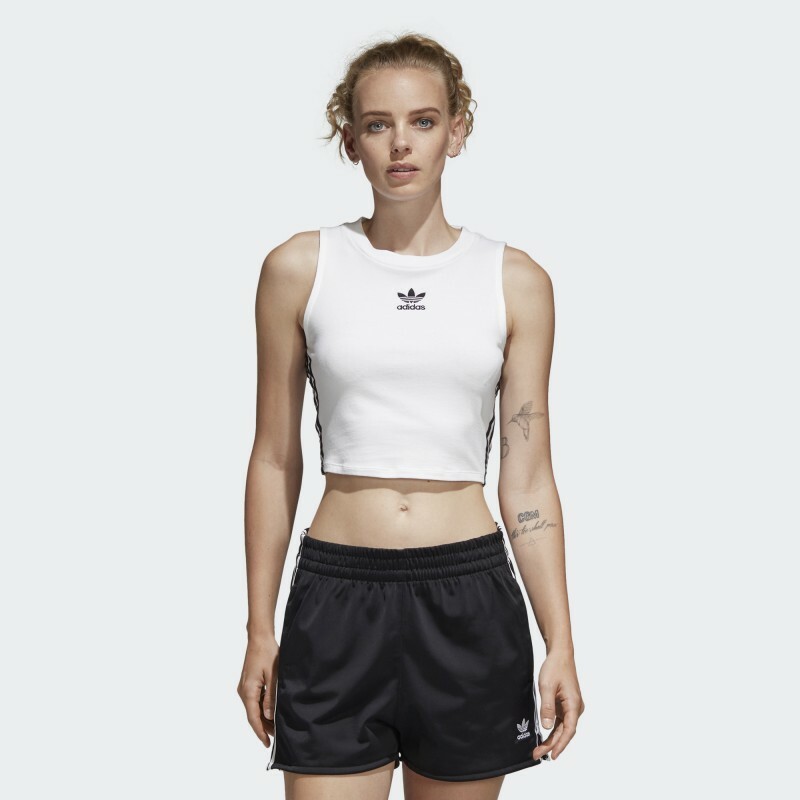 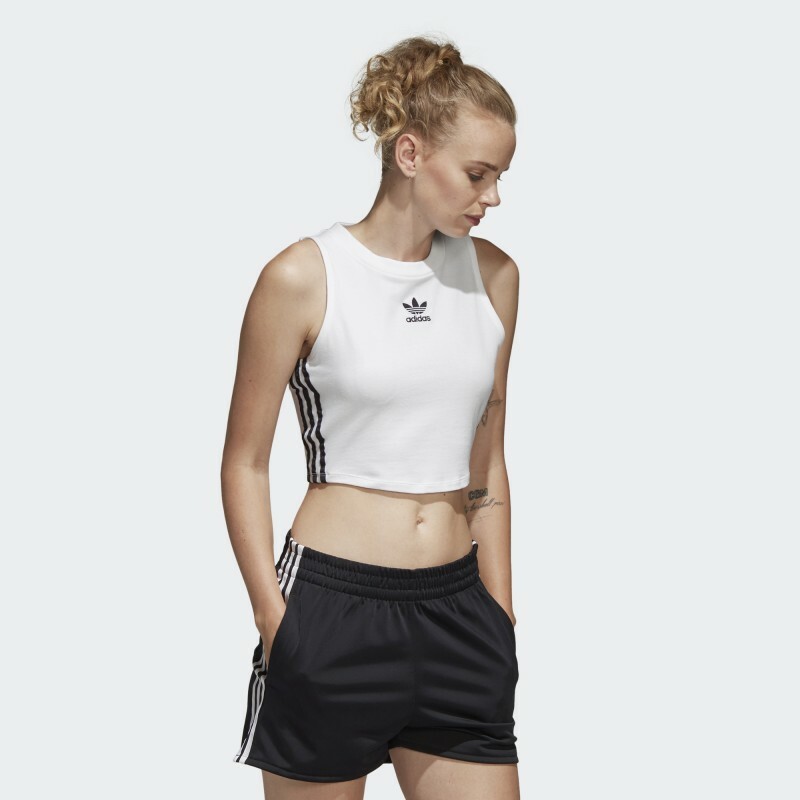 This women's crop top celebrates the iconic symbol with a contrast Trefoil logo printed on the chest. 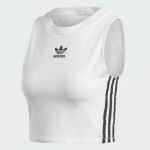 The sides of this summery, sleeveless top have contrast 3-Stripes. 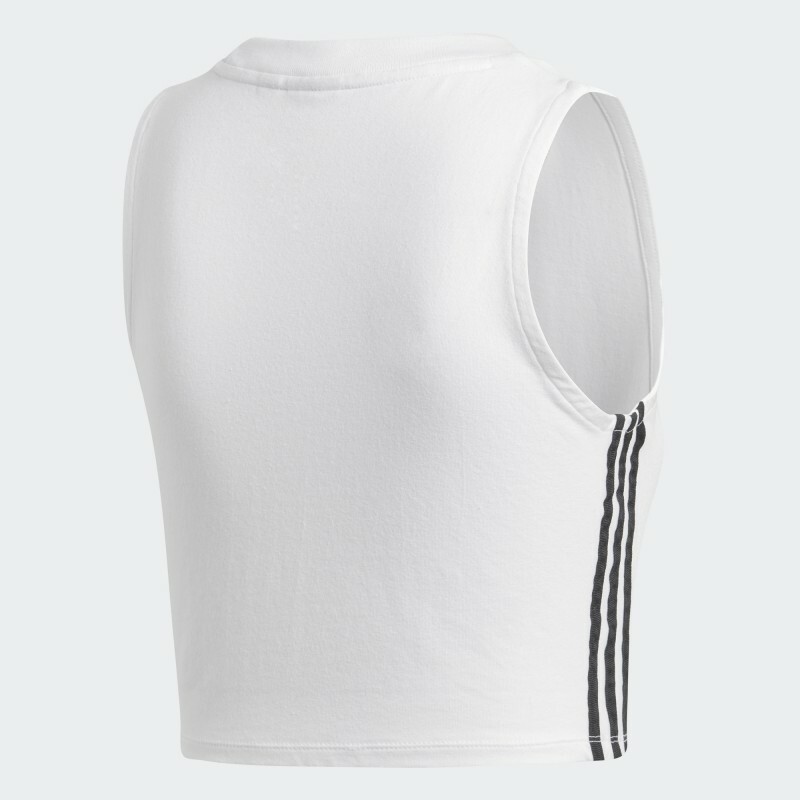 It's made of soft cotton jersey for a comfy fit.